Indian online startup ecosystem has boomed in the last couple of decades. With a high influx of foreign capital in multiple startups, an acceleration was provided to both great and not so great ideas. Many faded out before shining, and some continue on the path to become even bigger. A few Indian companies made to the list of the most valuable startups in the world in terms of their valuation. Here is a list of top 10 most valuable online Indian companies (some are too big to be called startups). Note: We have excluded the companies which have gone public but are still eligible for the highest valuation criteria. Also, while we have received cooperation from third parties for creating this list, the data included has been restricted to publicly available information. Happy Reading! Founded in 2007 by Sachin Bansal and Binny Bansal, Flipkart is an online shopping destination, valued at around USD 11 billion. While its parent company is incorporated in Singapore, all of its operations are in India. Till date, it has received a total funding of $2.5 billion in 11 rounds from 16 investors, Tiger Global, Naspers, Baillie Gifford, DST Global and others. 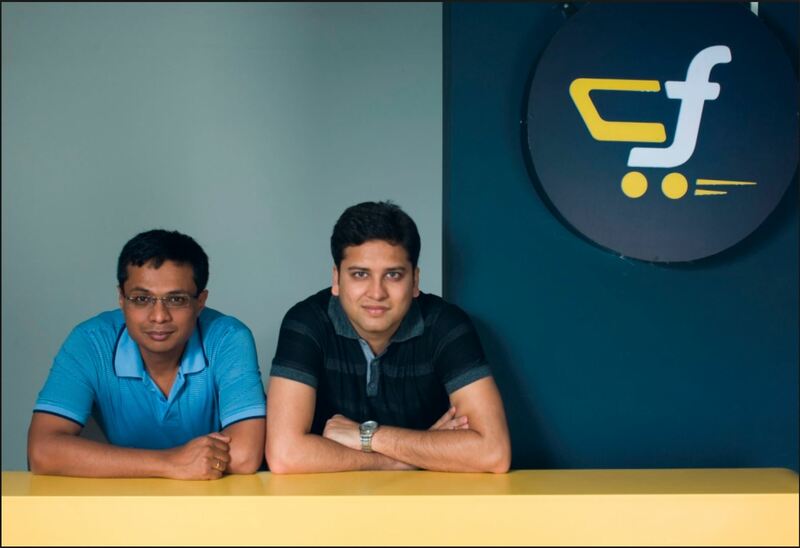 Flipkart has also acquired a few companies namely Myntra, LetsBuy.com, weRead, Chakpak and Mime360. In its latest series of funding in December 2014, it secured $700 million from investors Digital Sky Technologies, Qatar Investment Authority, T.Rowe Price, Steadview Capital and others. In December 2014, the company had secured $5 million from SoftBank Capital. InMobi has recently invested Rs 8 crore in Bengaluru-based online home rentals firm, NestAway with participation from VC firm IDG Ventures. Snapdeal was founded in 2010, which started as a deals site and is now an eCommerce marketplace, valued at $2 billion. Co-founded by Kunal Bahl and Rohit Bansal, the company has secured a total funding of $1.1 billion in 8 rounds from 16 investors including Bessemer Venture Partners, Indus Ventures, Nexus Venture Partners among others. In October 2014, it had secured $627 million from Japanese telecom and internet corporation, Softbank. Also, the firm is in talks with Taiwan-based, Foxconn Technology Group for potential investments. Noida-based Paytm, which is owned and operated by One97 Communications, is a web and mobile platform digital payments and shopping. It is valued at $1.5 billion. Paytm’s parent had raised a total capital of $610 million from investors including, Ant Financial, SAIF Partners, Intel Capital, SAP Ventures and Silicon Valley Bank. Founded in 2010 by Vijay Shekhar Sharma, Paytm has recently raised a funding from Ratan Tata, the amount of which has not been disclosed. Mumbai based online cab booking service Olacabs was founded in 2010 by Ankit Bhati and Bhavish Aggarwal, currently valued at $1 billion. The company had received a total funding of 276.8 million in 5 rounds from 9 investors including Tiger Global, SoftBank, Sequoia Capital, Steadview Capital, matrix Partners and others. Ola had raised $ 210 million from Japan’s Softbank Corp in October 2014. It acquired its competitor TaxiForSure for $200 million in a cash and equity deal in March 2015. Founded in July 2011 in Silicon Valley, ShopClues.com is Indian marketplace that connects buyers and sellers online. Currently, the company valued at $500 million. Till date, it has received a total capital of $116.3 million in 5 rounds from 5 investors including Tiger Global, Nexus Ventures Partners, Helion Venture among others. In its latest fundraising, the firm had received a capital of $100 million in series D round led by Tiger Global with participation from the past investors. Gurgaon-based Jabong, is an online fashion portal for men, women & kids. It is a part of Rocket Internet’s Big Foot Retail (Family of Jabong, Dafiti, Lamoda, Namshi and Zalora), and in November 2014, there were rumors that Amazon would acquire Jabong in a deal amount worth $1-1.2B, however, no further development has been witnessed so far. It is also planning to go for an IPO and is currently valued at USD 450-500 million. Founded in 2012 Jabong had secured $27.5 million in its latest round of funding from CDC Group. Online and mobile classifieds site Quikr, helps people find and sell products and services across diverse categories, and is valued at around $1 billion. Founded in 2008 by Pranay Chulet and Jiby Thomas, the company had received a total funding of $346 million in 6 rounds from 9 investors. It is backed by Matrix Partners India, Omidyar Network, Norwest Venture Partners, Nokia Growth Partners, Warburg Pincus and others. In its latest round of funding, Quikr has raised $150 million in a series H round of funding from its existing investors, including Tiger Global Management, Swedish VC fund Investment AB Kinnevik and Hong Kong-based Steadview Capital. Jaipur based Girnar Soft is a an IT company working on offshore and outsourced software development, valued at $300 million. Co-founded by Anurag Jain and Amit Jain in 2007, the firm had secured a total capital of 75 million in 2 rounds from 4 investors including Sequoia Capital, Tybourne and Hillhouse Capital Group. It is running multiple online properties like CarDekho, PriceDekho and so on. In its latest round, the company had raised $50 million in series B from Sequoia Capital, Tybourne and Hillhouse Capital Group. Housing.com is an Indian online real estate listing portal that aims to simplify finding, renting and selling homes in India, valued at $250 million. Founded in 2012 the company has secured a total funding of $139.5 million in 4 rounds from 4 investors. It is backed by Nexus Venture Partners, Qualcomm Ventures, Helion Venture Partners and others. In December 2014, the firm had received a total capital of $90 million from SoftBank Capital. Hi AD! Like we mentioned in the article, we have only considered the companies which haven’t gone public yet so no Info Edge or others. Consim (Now Matrimony) is indeed planning to go for IPO at a valuation of $450 million but hasn’t given out its present valuation, hence was excluded. Do let us know who else can we include, we’ll update the list. What about BookMyShow and OTAs? wher’s infoedge, people’s group, consim ? you have included companies which are insanely valued but loosing millions every day. Info Edge has a worth of nearly 1.8 billion dollars. these three companies are in profit too. Dude get some knowledge of india’s online industry before writing.